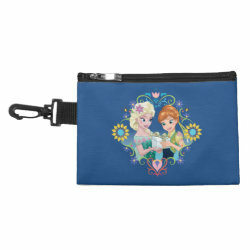 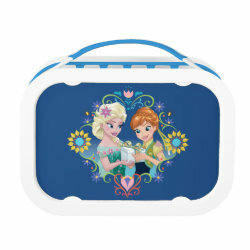 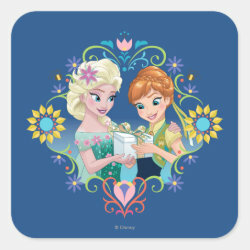 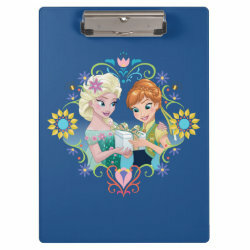 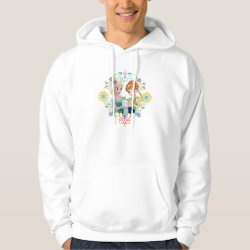 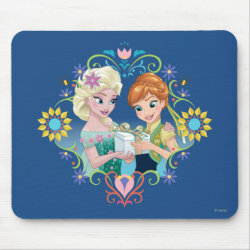 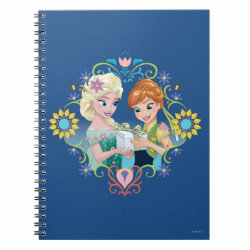 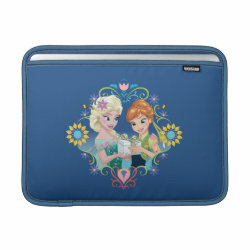 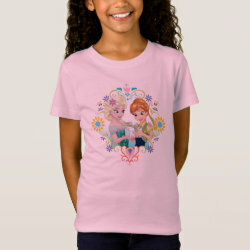 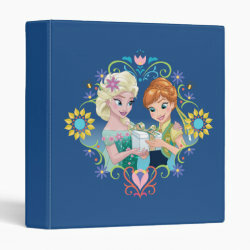 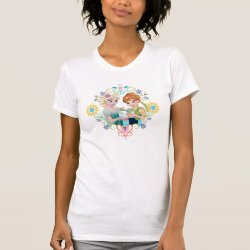 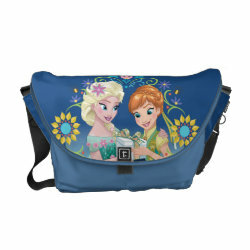 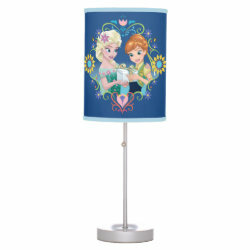 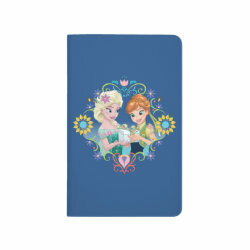 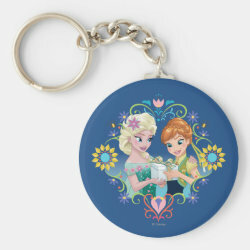 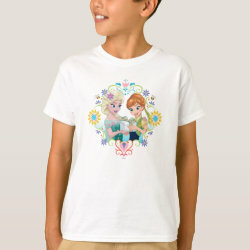 This is a cute design featuring sisters Anna and Elsa in their beautiful outfits from Frozen Fever. 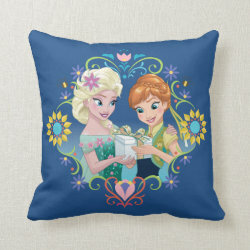 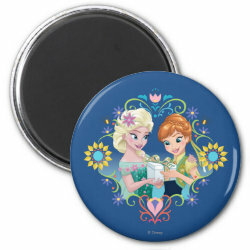 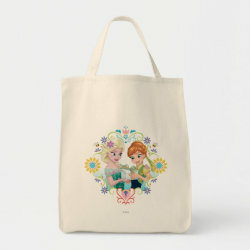 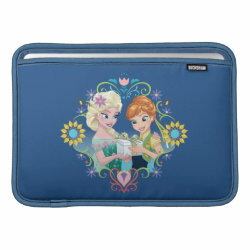 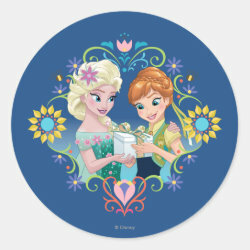 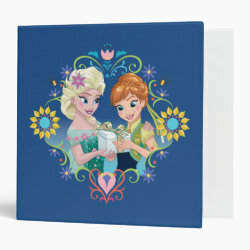 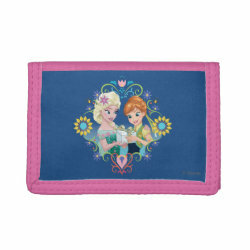 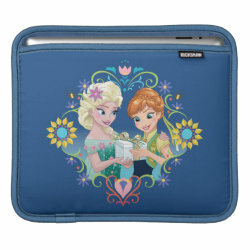 Elsa the Snow Queen gives her sister Anna More... a gift. 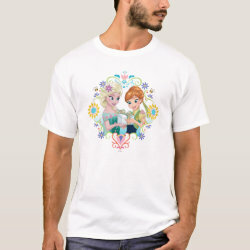 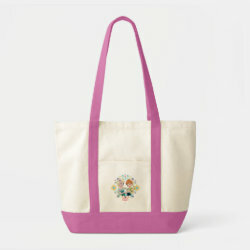 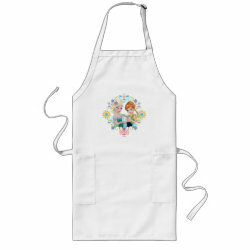 The sisters are surrounded by floral motifs in a Nordic style. 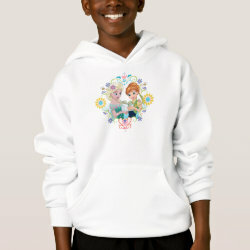 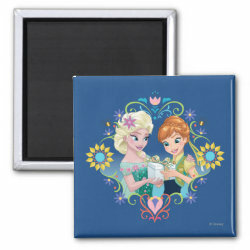 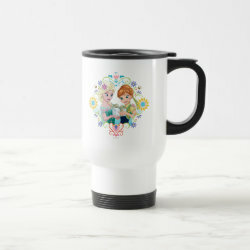 This is a great gift idea for Frozen fans who want something to commemorate the fun short film Frozen Fever!